This homeowner has a hobby of growing plants, and she was thrilled that I would like to have some. 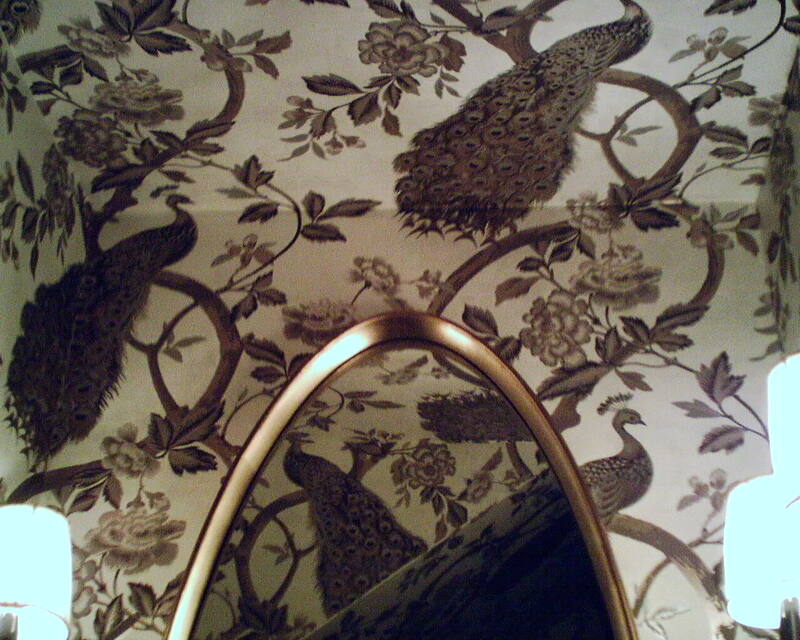 Some are going to Dorota at Southwestern Paint, who sold the wallpaper, too. 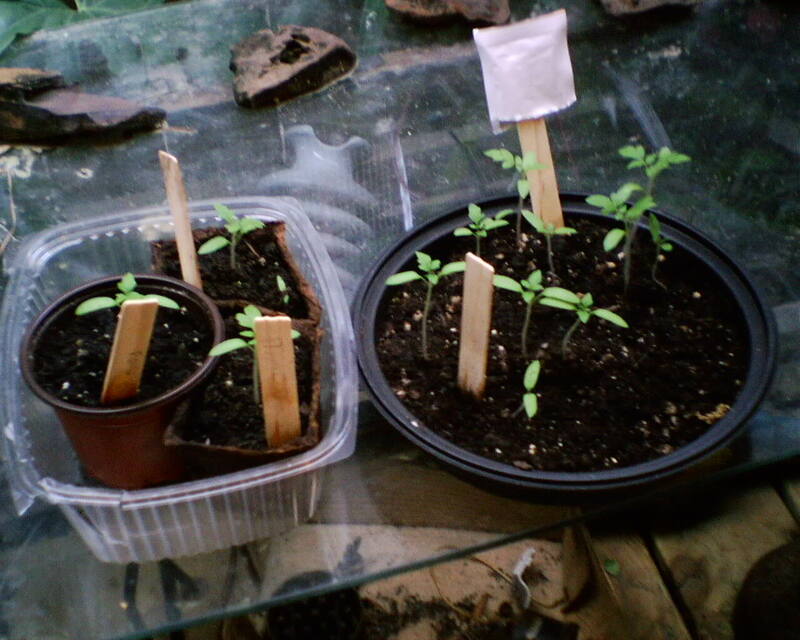 These are tomato starts. Man, oh man, do I LOVE home-grown tomatoes. And I love my customers, too. So many people are just so very nice. 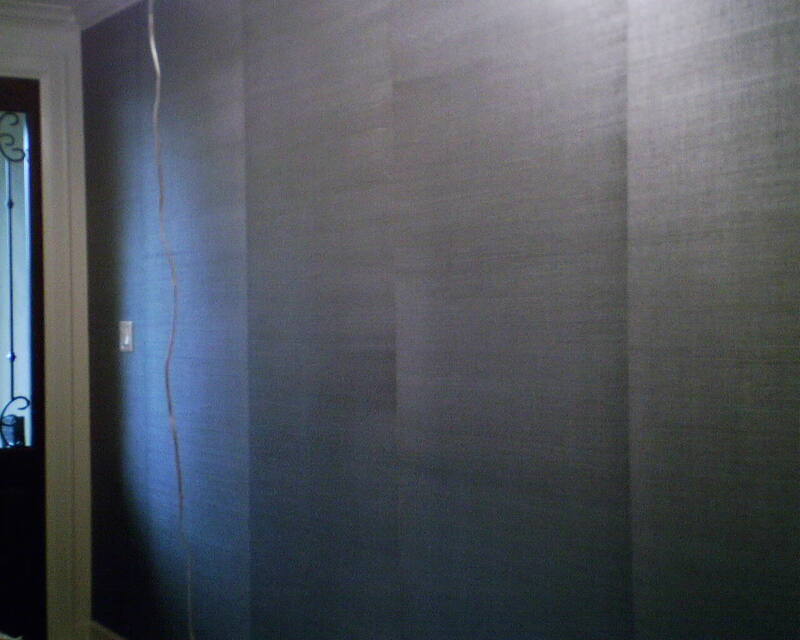 The instruction sheet comes right out and says that you can expect shading and paneling in grasscloth, and claims that it is part of the beauty of the product. I beg to differ. I don’t think this looks good at all. Compounding the issue is edges that got banged up during shipping. Since it’s a metallic paper, every bend or bang shows more than on a more muted color. Reversing the strips (hanging one right-side-up and the next one upside-down) didn’t help. In addition, when I tried reversing strips, I had pretty bad gapping at the bottom left of the strip, and wrinkling at the upper right. I think the paper wasn’t cut straight, in addition to getting a poor dye job. It’s very hard to see these shading issues when the paper is dry and on the table. In this case, I laid the strips out side-by-side on the floor, rearranging them, trying to find ensure that the strips were the same color. Everything looked pretty good. But once it goes up, the shading and uneven dye is much more noticeable. This paper is by Thibaut. Although the sales rep has not been too communicative, it’s “pretty” certain that the company will replace the paper or refund the customer’s money. Getting them to pay for my labor to strip and rehang the wall is another matter. 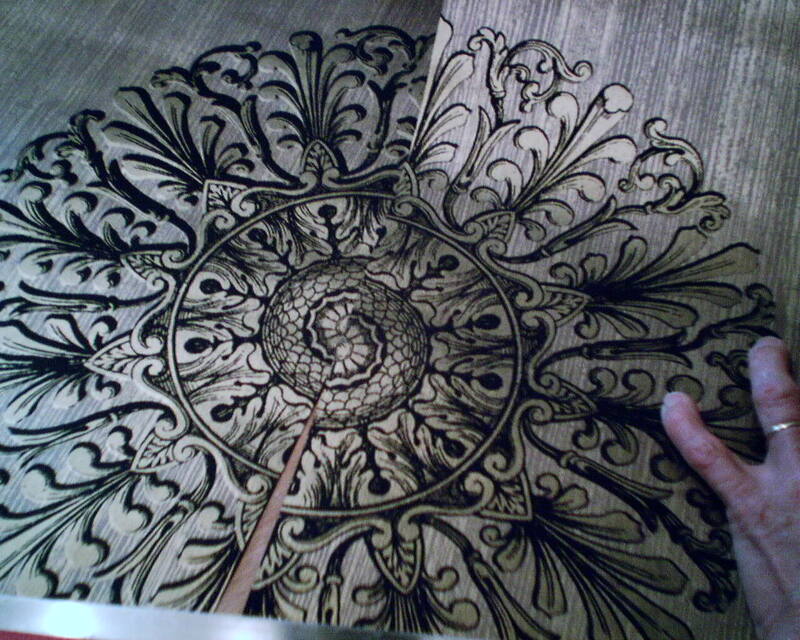 I have another customer who is looking at a metallic Thibaut grasscloth. I’ll make sure she reads this post, and that we inspect the paper prior to hanging, and that the client sees it as it goes up, and approves. 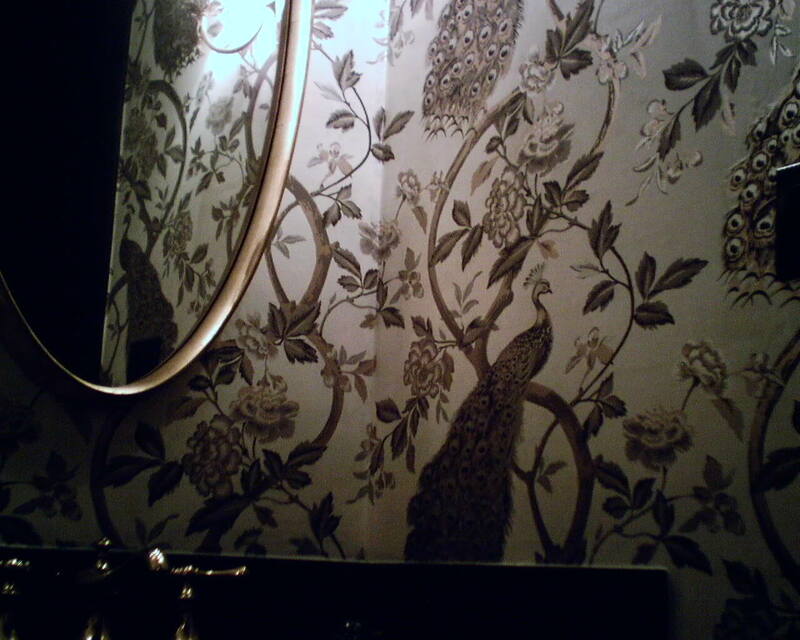 Well, I can fit myself into a tiny powder room, but it’s darned hard to get far enough back to take a good photograph. But you get the idea. This is a pre-pasted paper. 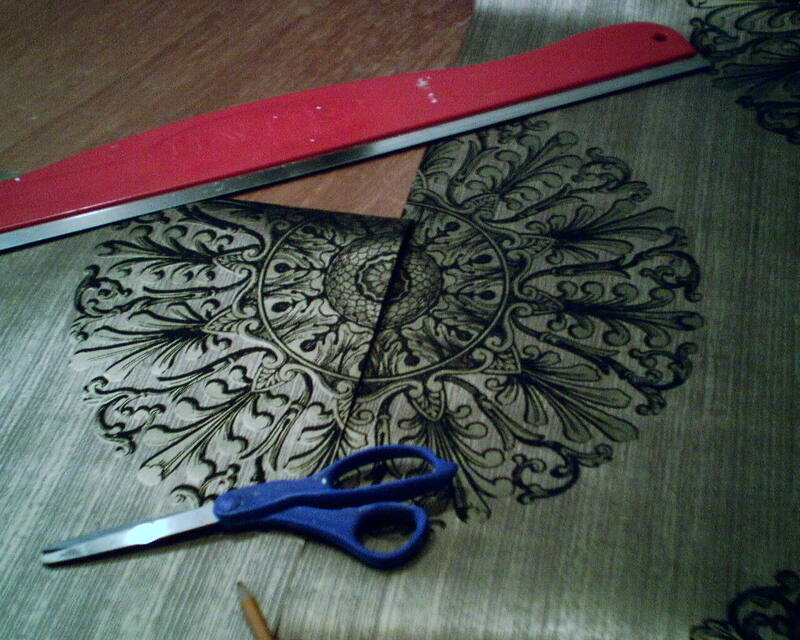 When it comes to pre-pasted goods, I much prefer paper to vinyl wallcoverings … Luckily we seem to be moving away from those, at least once you get away from the very low-end papers. The brand is Imperial. 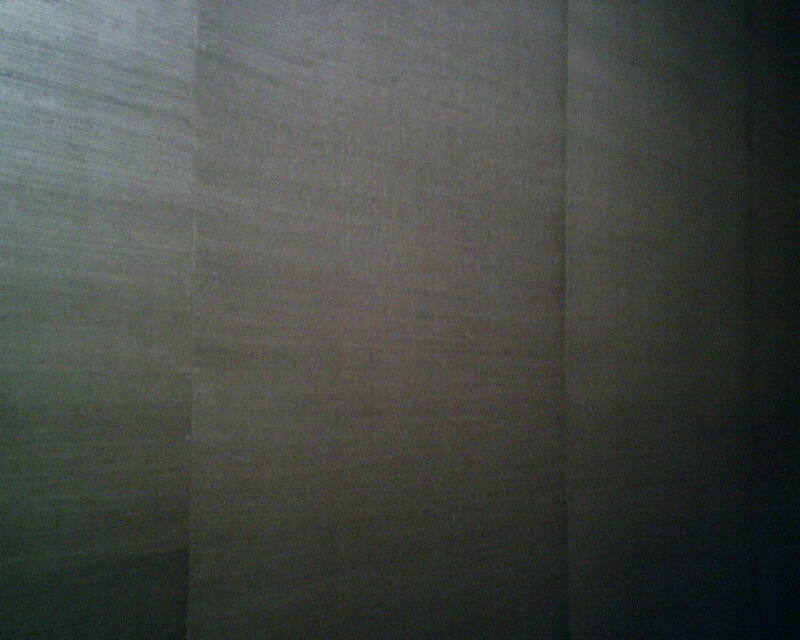 Hard to see, but it’s a soft pewter / gold color on a cream background. 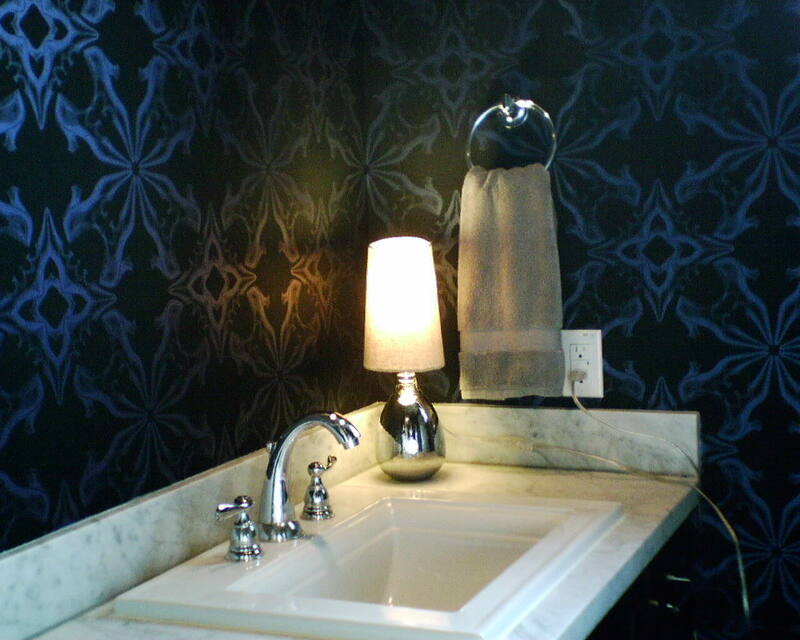 This powder room was under a stairway that hit a landing and made a turn, so the sloped ceiling went in two different directions, plus there was a small 2’x3′ flat ceiling over the vanity (seen in Photos 1 & 3). 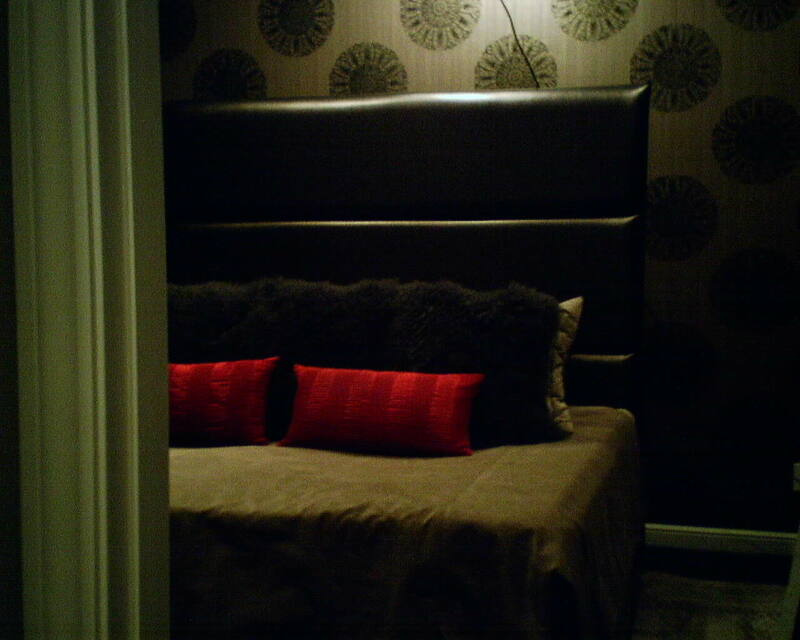 The room was originally papered in a black paper with colorful flowers all over it; it was quite busy, and the dark paper on the ceiling really closed the room in. This quiet two-toned pattern worked much better. The homeowner remarked on how much larger the room looked with the lighter paper. Can you spot the difference in thickness of the black ink? On the strips on the left, some of the black has been misprinted, stamped outside the lines of where it’s supposed to be, creating a line that is too dark and too wide. If a medallion with fat black lines was butted up against a medallion with the proper thinner black lines, it would be very noticeable. 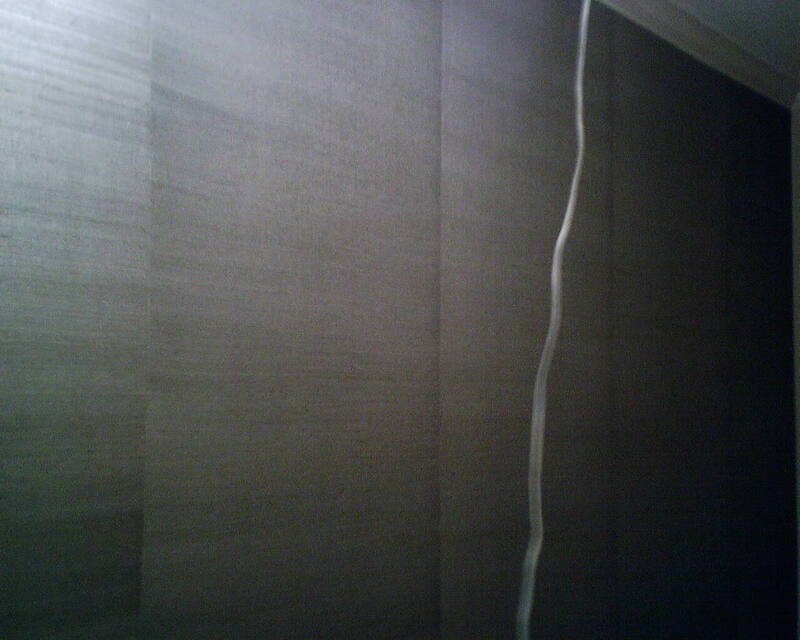 Luckily, there was enough wallpaper that I could discard these bad strips. I did have to use one, though. On that strip, the medallions with the darker ink were on the left side, so I put them on the left side of the accent wall, where they would not touch any other medallions, greatly minimizing the defect. The wallpaper pattern is by Astex. Hopefully, I’ll have a better shot later, with better lighting. By you get the idea. Look closely … Those are women’s high heels! 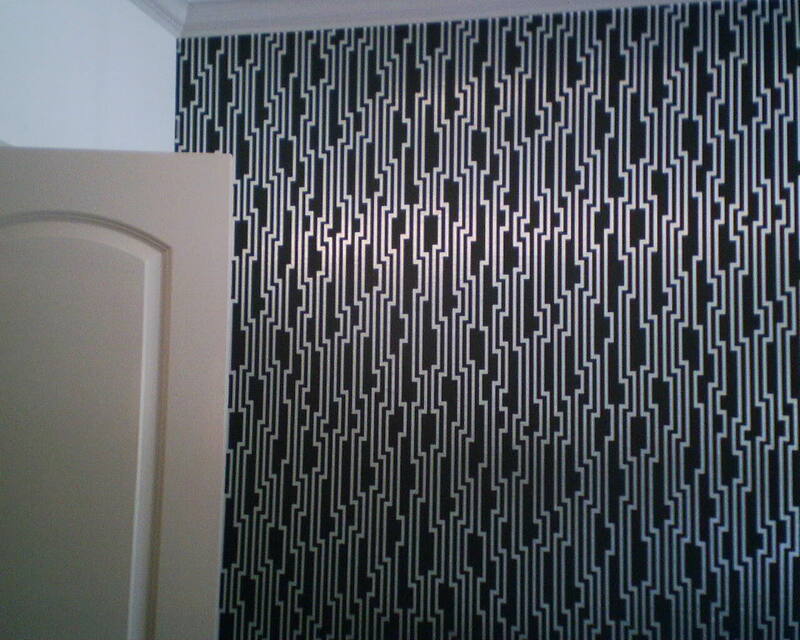 The design is by Astex wallpaper. 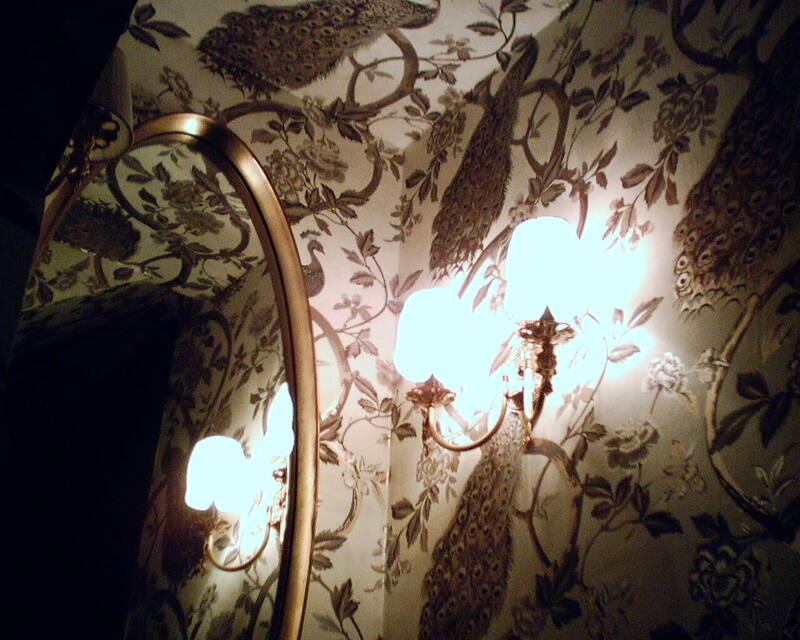 In the first photo, small but noticeable dots mar the wallpaper. In the second photo, you see a different type of dot. These first two came off the roll like this. In the third shot, what happened is, the paper went up beautifully and looked perfect. But as I did a final smoothing with my brush, this smudge appeared from out of nowhere. It is some kind of tar, and would not wipe off. I had to replace the strip. This happened three times today. My rags are absolutely clean, my brush and other tools are spanking clean. All I can think is that the small dots you see in the first two phots were composed of this tarry stuff, and when they got run over with the brush, they were scratched open, and the tar was released. It ruined a several 4′ long strips. 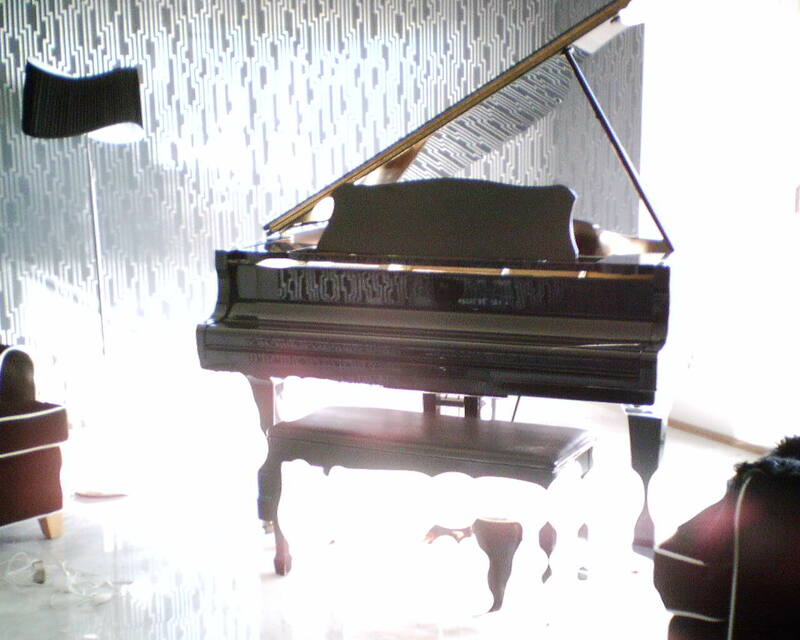 The client wanted “Hollywood Glam” – she sure got it! A zebra rug and a few other accents are still to come. This is a design by Candice Olson, for York Wallcoverings. 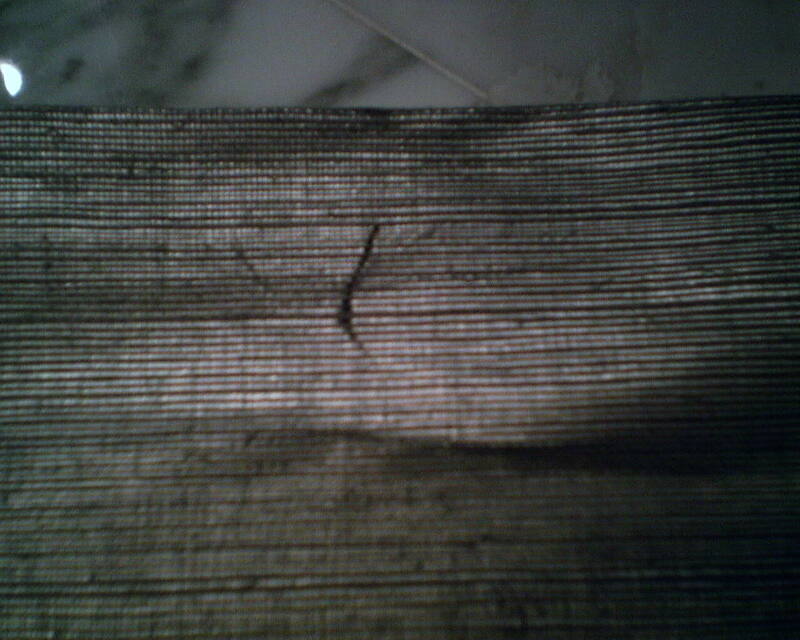 This dark squiggly thing is a bit of – something – that got under the grass fibers and the thread webbing on this grasscloth. It ruined a whole 9′ strip. You are currently browsing the Wallpaperlady's Blog blog archives for April, 2013.